WATCH celebrates the consecration of Bishops Rachel Treweek and Sarah Mullally at Canterbury on 22 July 2015. When Dan Brown wrote The Da Vinci Code, he was not the first writer to be attracted to the scent of Mary Magdalene, and he won’t be the last. She is one of the most iconic and enigmatic figures in the Gospels, providing down the years a rich seam of speculative material for creative minds to adorn and exaggerate. And exaggerate they surely have. 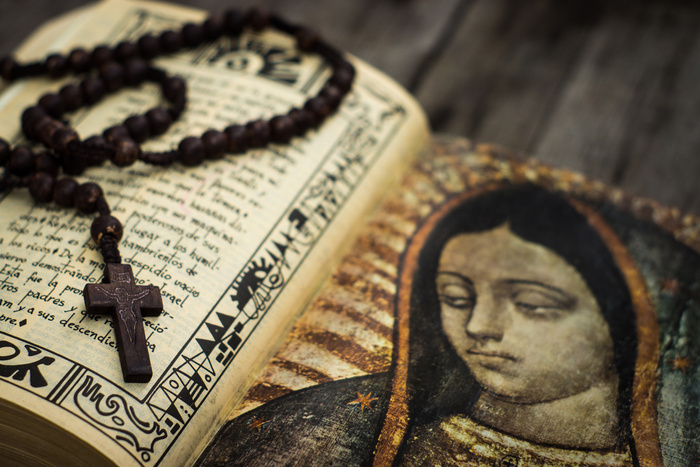 It is shameful, and deeply ironic, that the witness of Christian history – written and formulated by men – so often projects on to Mary little more than the deepest insecurities of the male psyche. For, on any straightforward reading, the Gospels consistently witness to Mary as one of the foremost leaders in the group that surrounded Jesus. And by appearing first to her in the garden of resurrection, the early church was offered a quite extraordinary ‘join-up-the-dots’ moment, an opportunity to connect the radical inclusion of Jesus with the shape of the church that was to bear his name. That the church failed to do so was hardly surprising. It has, after all, taken us until very recently to join up some of these dots ourselves. I have been given the delicious task of trying to draw something from Mary Magdalene’s story that speaks in to Rachel and Sarah’s ordination to the episcopate today. So I want to offer two simple thoughts about the distinctive contribution of female bishops to the question of leadership in the Church of England, as you both begin to influence the way in which bishops lead the church. Socialise us, and subvert us. I have some of my most profound thoughts on rush-hour tube trains. Crammed like a vertical sardine in to a Central Line tin can, nose to nose with my fellow commuters, each of us desperately trying to avert our gaze from the eyes only inches from our own, jealously guarding the smallest bit of personal space, that’s when the biggest metaphysical challenge to Christian faith rears its ugly head. It is not, I have to say, the problem of suffering that keeps me awake at night, nor the doctrine of the Trinity; not the difficulty of squaring substitutionary atonement with the love of God. No, it is simply this. There are more than 7 billion people in our world. And the thought that God can be in intimate personal communion with each and every one of them, stretches my weak faith to its limits. Especially on the tube. It’s why, in big cities, no-one even looks at anyone else, let alone talks to them. The scale of the human landscape is too vast, it overpowers you. People retreat in to screens or headphones, shutting out the insistent presence of those with whom we share immediate space. Little wonder someone coined this definition of a city: millions of people being lonely together. The thing is this: it affects the way we understand leadership. It reduces it to function and structure and bureaucracy, instrument and agency. But on my tube journey, thundering through subterranean tunnels, 30 seconds from Liverpool Street, I have a moment of revelation. In the garden of the resurrection, whatever outward form and physical appearance Jesus had in his resurrected body, it was not immediately recognisable to Mary. She thought he was the gardener. When she eventually recognises him, it is devastatingly simple. He speaks her name: Mary. Despite the weakness of my faith, resurrection is and always will be personal. The risen Christ is known in and through relationship. The heart of Christianity is a relationship. Not a campaign or a project or a structure or a debate or a review or a reorganisation, but a relationship, a knowing by name. And this gift was entrusted to a woman. Sarah, if you will permit me one small Stepney departure for a moment, I have been privileged beyond measure to work closely with Rachel for 4 years. She has taught me more about being a bishop than I could ever teach her. She has modelled relational leadership in a way that is a gift to those around her, and a gift to the church. Both of you will both bring huge gifts to your role as bishops, but I have a suspicion that at heart you will embody a relational approach that is truly distinctive. I’m not talking here about the rather anodyne idea of a leader as a ‘people person’. I’m talking about leadership for social transformation. The real significance of a relational approach is not so much in the sometimes rather saccharin nature of individual personal relationships – ‘hide less, chat more’ as the graffiti on one of my running routes in East London puts it. Important as this may be, I’m more interested in the dimension of relationship we might more dynamically define as ‘communion’ – that sacramental relationship between and within God and the created order which expresses itself in social transformation and lies behind Jesus’ teaching about the Kingdom of God. Eucharistic communion is radical and inclusive and utterly relational. So when Florence Nightingale brought a revolutionary new approach to nursing, or Octavia Hill developed innovations in social housing, their insights were not so much about medicine or the structures of the housing market; these women placed human relationships back at the heart of medicine and housing management, humanising otherwise mechanistic systems and transforming them in the process. The challenge to women, as we celebrate your full inclusion at every level of leadership in the Church of England, is to transform notions of sacramental communion beyond pastoral relationships and in to the very structures of society. That will be socially transformational leadership. In the secular leadership world there is a fascinating trend towards CQ: Cultural Intelligence. Julia Middleton, Chief Executive of Common Purpose, has written a book exploring the significance of Cultural Intelligence for the next generation of leaders. CQ is just a fancy way of saying that in the emerging global world, characterised above all else by diversity and difference, the best leaders will be marked out by their ability to navigate the diversity of the cultural landscape in a relational way; as the Archbishop put it in his Roscoe lecture on Monday: facing each other. It has taken a woman to point this out. Socialise us. Be relational in your leadership, and help all of us to do the same. Secondly, finally – and more briefly – subvert us. I was directed recently by a friend to an obscure short story by EM Forster (‘The Story of a Panic’). Set in the rather crusty, straight-laced world of Edwardian society, the story relates the delightfully agitational and alarmingly disruptive intervention of the unseen figure of ‘Pan’ to strip away the stifling effects of the dominant culture and liberate an altogether more vibrant expression of life. Pan subverts the patterns of an ordered, controlled society where a powerful elite constrains and limits the cultural norms of belief and behaviour. E M Forster’s story is a fascinating reflection on the positive effects of challenging convention and unmasking the unconscious bias of an unexamined orthodoxy. Years later the German psychologist Erich Fromm came up with the notion of ‘anonymous authority’ – that unseen influence within the modern world which affects the way that people believe and behave, which he says is “a cultural pressure all the more effective for being invisible and source-less”. If I’m honest, I’m a bit frightened of Pan. Perhaps we all are. Perhaps that’s the point. But the ‘panic’ that EM Forster wrote about was not a wholly negative thing. He represented it as a catalyst for positive change, both for individuals and for society. It’s hard to escape the fact that Jesus chose the outsiders of his world to share his life with, those whose very existence was disturbing and disruptive to the accepted norms of belief and behaviour. He lived and preached a gospel of radical inclusion, and it upset the apple-cart of conventional religion. Was this why he chose Mary Magdalene as the first witness to the resurrection? Not so much to ‘disturb the comfortable’ as to disturb the conventional. For it is in the disturbance of people like Mary Magdalene that we may learn to see the world – and God – afresh. I hope that women bishops will disturb us. I hope they will challenge the conventions of the C of E, which continues to be led and directed by too many people like me – white, male, middle-aged professionals. I’ve always loved the notion of the court jester – the outsider who is nonetheless welcomed in to the court of power because they are the only one who can speak truth to the King. Every society, secular or religious, needs a way of allowing non-conformity. I hope that women in the college of bishops will raise non-conformity to new heights in the way they exercise leadership among us. I hope they will disturb our conventions, and unmask the unconscious bias which constrains our models of leadership within the dominant cultural norms that are so powerful that we hardly even notice or question them. Socialise us, and subvert us. Amen.